There are many reasons not to like Superman Returns: the nonsensical plotting, the reduction of a heroic archetype to mid-level stalker, and the way Brandon Routh and Kate Bosworth wander through the picture like a pair of prom dates too skittish to make eye contact, all leap to mind. But one of the reasons that still sticks in my craw is Lois Lane's supposed Pulitzer Prize winning article, "Does the World Need Superman?" Because no, the world doesn't need Superman. It also doesn't need electricity, apple cider, or horror movies, but I don't see that as any reason to stop production on any of those things. Unless the cost is remarkably high, the good things in life don't need to justify themselves. That's part of the reason why they're good. "Epic Fail" at first seems to be asking the same question for House—does Plainsboro really need their favorite pill-popping misanthrope back on staff? What makes the episode at least a little interesitng is that it switches the proper nouns. We know Plainsboro can use House; we know Foreman can do all right on his own. What we don't know is if House can be without Plainsboro. At the start of the episode, he quits, from an honest and laudable desire to change past habits to avoid current temptation. I'm still not hugely happy with the idea that House has to be changed that completely, but I can roll with it, and it's a lot easier for me to accept if it's not just going to be immediately dropped for the sake of expediency. 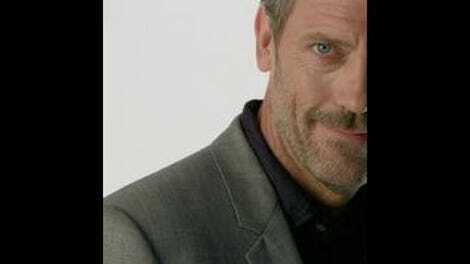 Obviously, sooner or later, House is going to wind up back as the head of the Diagnostics Department; drastic as the premiere of this season was, it was still designed to return to the show's main premise. The way to make that journey worth taking, then, is to justify it in a way that doesn't entirely insult our intelligence. The non-House stuff was, unsurprisingly, "Fail"'s weakest link. The patient of the week was strong-willed but his video game job came off like so much window-dressing, and Foreman's main conflict with him didn't really pay-off, apart from getting 13 fired. This is time filler stuff, and mostly just served to remind us how, regardless of whether or not Plainsboro needs its leading man, the series definitely couldn't survive without him. Oh, and Taub quit as well; it's only been a season and a half since we got our replacement team, but it looks like they've finally come to the end of their run, in a shoulder-shrugging, desultory fashion that doesn't seem so much embarrassed as routine. I honestly assumed Taub's leaving was just another stunt, until he failed to come back for the rest of the episode. I think I'll miss him most of all, really. I said the episode didn't insult our intelligence, though, and while it wasn't as successful as I initially thought, I did like the mini-arc House followed in his attempts to stay clean. It was nice seeing Andre Braugher back again, and nice too seeing Hugh Laurie playing the sincerity card. While I object to the general idea that House needed to be fixed, I appreciate the direction this went in; acknowledging that his tendency towards addiction is built in, and the only real solution is to find a healthy outlet meant his return to the hospital made decent sense. Yes, we've seen the leg pain metaphor before (although I don't remember if it was ever used quite so blatantly), and we didn't learn anything new about the character here. But it was pleasant, and I'll admit I got a charge out of finding out House was the anonymous internet poster that solved the PotW's case. I don't think the world really needs House anymore, but for now at least, it still passes the time. -Go ahead, Superman Returns defenders, take your best shot; I've seen the movie more than once, so nothing can hurt me anymore. -Hey, that video game stuff looked nifty. Although it was embarrassing how long it took anyone at the hospital to react during Vince's big hallucination scene. -House's cooking attempts were great. 13's response: "This might be the best thing I've ever eaten. And yes, I'm including what you're thinking of now."